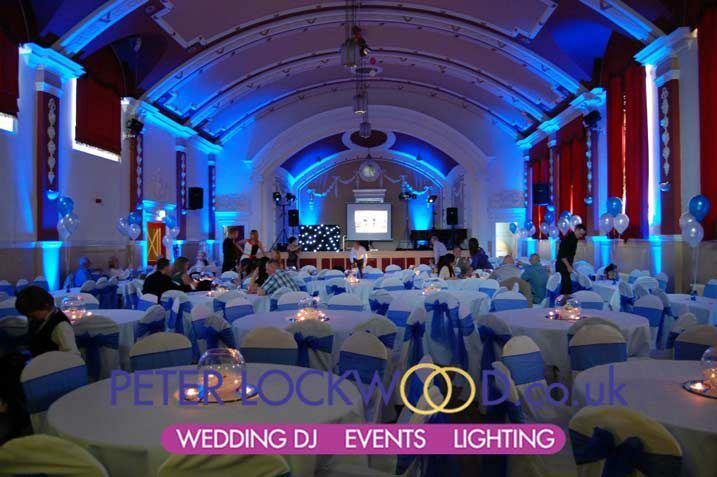 Chadderton Town Hall Wedding UpLighting. 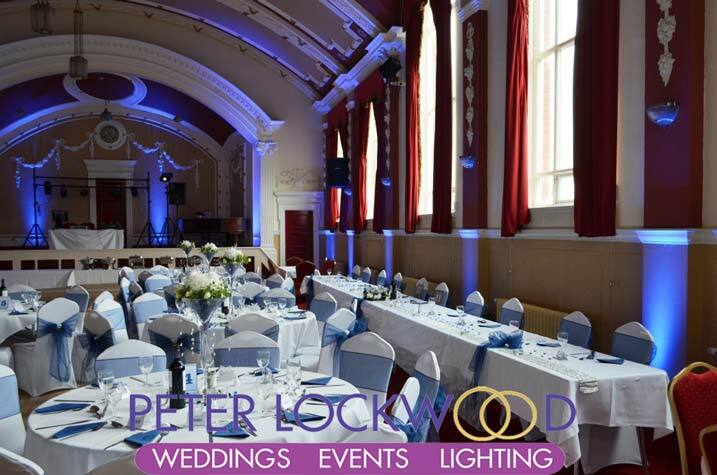 Chadderton Town Hall Wedding UpLighting is a stunning way to change the colour of the ballroom. 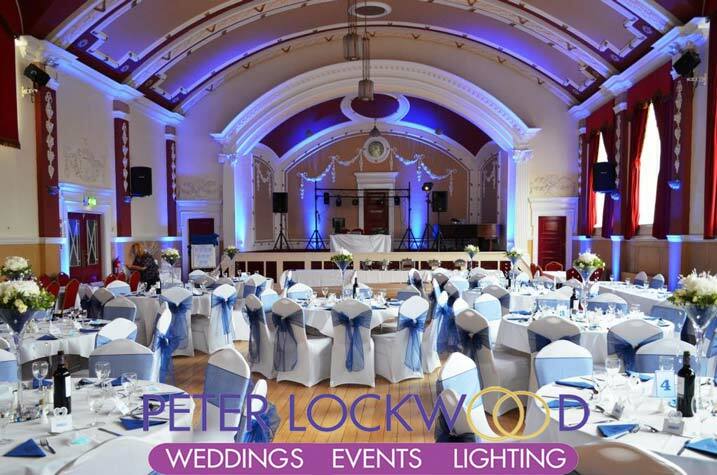 I have provided my uplighting service in Chadderton town hall many times, as you can see in the pictures the lighting transforms the ballroom in Chadderton Town Hall. 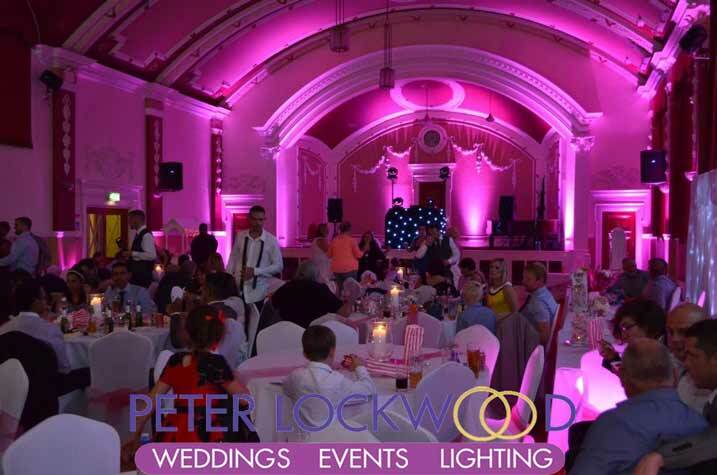 We can provide the uplighting in lots of different colours due to our amazing super powerful uplighting lights. 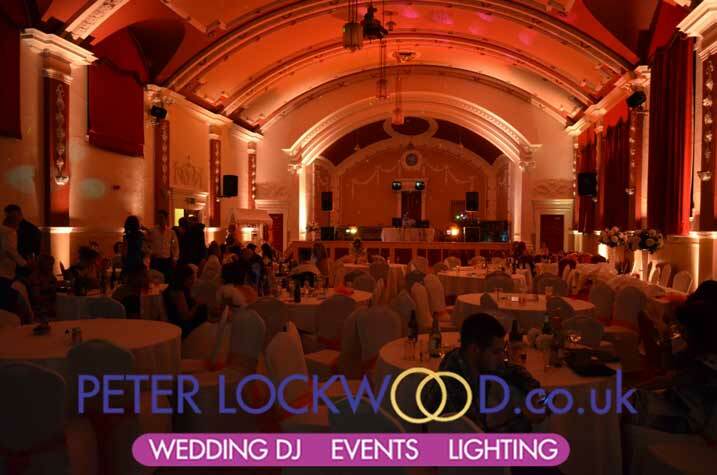 They are 100% silent RGBWA 5-in-1 90w with the addiction of white and amber I can make colours that other providers cant. 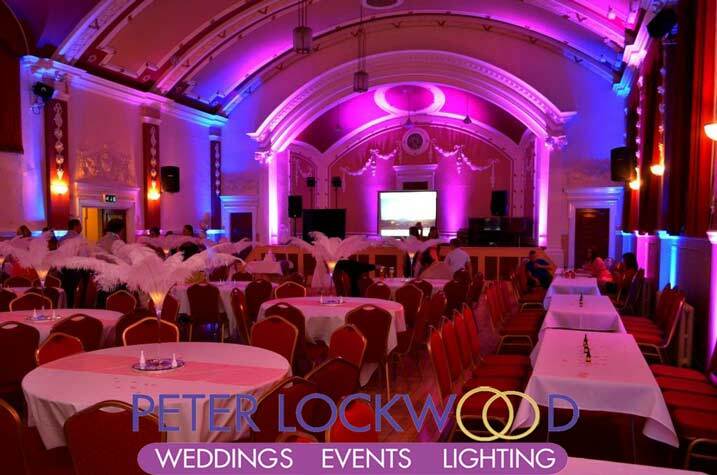 If you want a quote for uplighting in Chadderton Town Hall or backdrops and draping please get in touch.